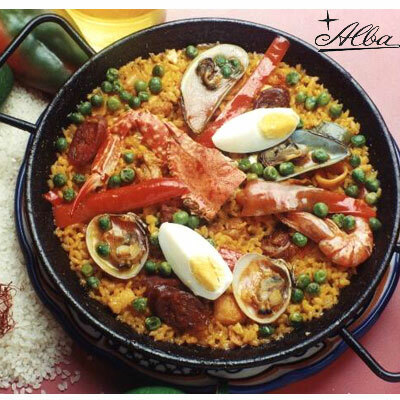 Enjoy Alba Restaurante Español’s house specialty, the Paella Valenciana, a Valencian rice dish cooked with chicken, pork, seafood and vegetables. A meal in itself, the Paella is a quintessential rice dish that holds a special place in Filipino tables. Culinary writers in Manila have maintained that you haven't tasted paella unless you've tasted Alba's paella! Satisfy your craving for authentic and soulful Spanish cooking! Comes in a ready-to-serve aluminum round tray and convenient to-go box.